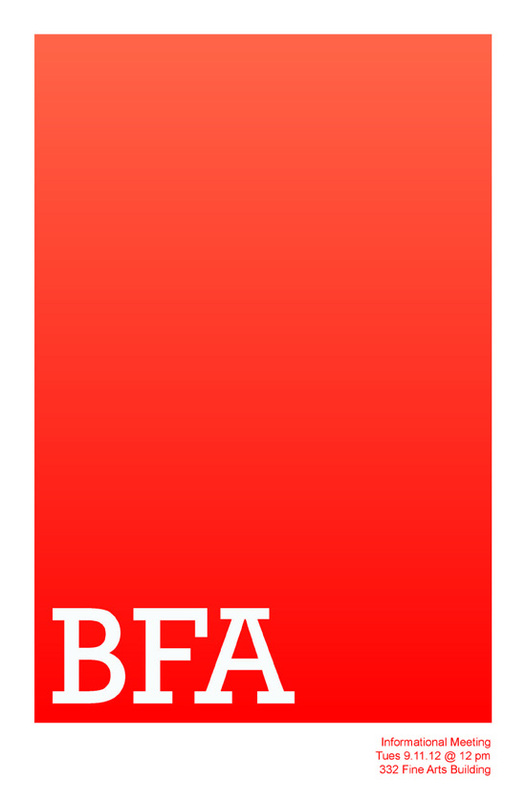 The Fall 2012 BFA Studio Art applications are now available! They are due (to Sara Howard) by Friday, September 28th by 4pm. The entrance review will be the following Friday, October 5th. Students will be allowed to set up their works between 8:30am-noon, and then they will be able to take down their works between 3:30-5pm.